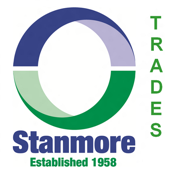 This application is designed for the sub-contractors registered with Plastering Contractors Stanmore Ltd.
With this application, you can check Trades Notice Board and Trades Form. Trades form provides you the information about your trades and our ongoing projects. Please call our head office at 01322 446 446 or email at amarjeet@stanmoreltd.co.uk to get your login details. We will add more features to our application. Please email us your feedback and suggestions. Plastering Contractors Stanmore Ltd is leading Interior and Exterior Fit-Out Subcontractors based in Erith, Kent, United Kingdom. We have worked with the majority of the largest Developers and Main Contractors in the South East of England. We are therefore able to combine its over 50 years of experience in construction methods with the acquired expertise to become one of the most recognized brand names in today's Market. As a result, we are not only able to offer a range of drywall partitions, wall lining, screed and ceilings but also lightweight steel frames, insulated external render systems, through colour render, rain screen cladding systems, windows & doors, copings and fascias. Our experience has seen Plastering Contractors (Stanmore) Limited work on a diversity of construction projects, from residential houses and apartments to complex schools, hospitals, community buildings, industrial warehousing and high-rise commercial / residential units.